I know it was a week ago but it took some time to sort through all my photos. 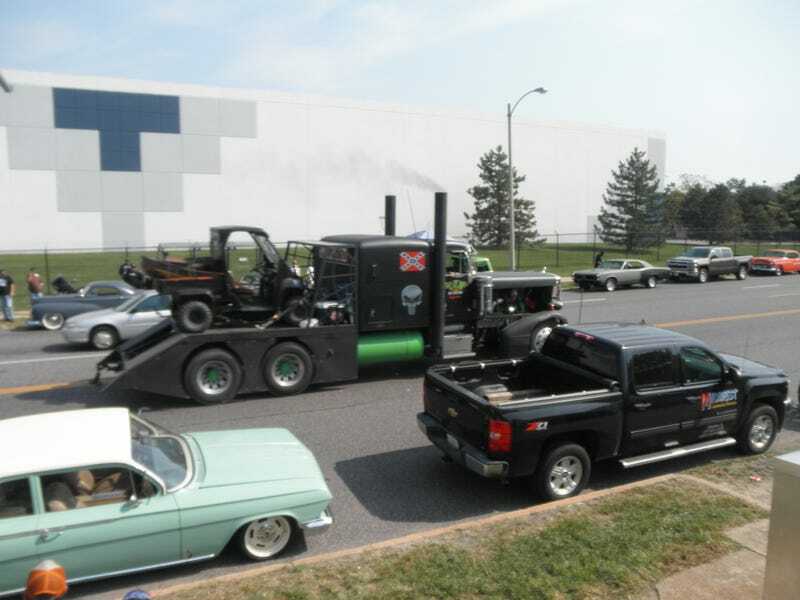 This event is the final stop for the annual Rat Rod Magazine’s “Rat Rod Buildoff Weekend.” Rat Rod builders from across the US as well as Canada spend the year building the baddest Rat Rod possible. Sunday morning bright and early is the one and ONLY Shapiro STEELFEST at Shapiro Metal Supply in St Louis Mo. Rat Rods line the streets all around the shop, in the shop parking lot and every adjacent parking lot, even in the shop. The fire department brings out one of their pumper trucks an parks it in the center turn lane to provide water for burnouts all day. Several Rat Rods have exhaust the spit out 20 foot flames. There is no accurate description for Steelfest. WOW... pretty much covers it. The weekend is attended and covered by the entire Rat Rod Magazine staff. The event is so big an entire issue of the magazine is dedicated to it with the winning Rat Rod build making the cover. There hasn’t been a final count yet but most estimate 2-3000 Rat Rods were in attendance. Of course, my contribution was bringing E.T. for the spectators to view. So here is my photo dump of the event. Enjoy.